Paul Harris, 68, of Albany, Oregon passed away on Monday, January 21, 2019. Paul was born on March 15, 1950. Paul is survived by his wife Rose, daughter Melissa Smith, son-in-law Dustan Smith, son Jeff Harris, daughter-in-law Tyree Harris, father Al Harris and Sister Sandy Foster and four grandchildren. For Paul Harris’s obituary, click here. 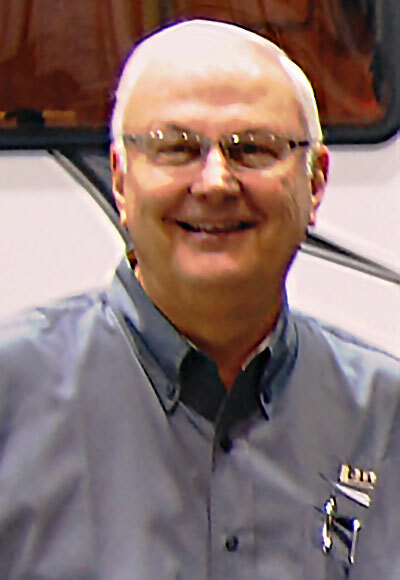 Paul spent many years in the automotive industry before founding Paul Harris RVs in Eugene, Oregon in 1989. In 2007, Paul joined Lance Camper in Lancaster, California as National Service Manager. We first met Paul at Lance Camper in 2010. His positive spirit and passion for RVs and Lance Camper was immediately evident. As an automotive enthusiast, Paul was also eager for us to see his latest acquisition, a John Cooper Works MINI. Paul also helped us with Truck Camper Magazine content including an article on the proper care of RV holding tanks. As a previous RV dealership owner, Paul always had excellent advice on RV maintenance. Paul retired from Lance Camper last summer and just recently moved back to Oregon. He will be missed.